The gastroenterologist rarely speaks of Crohn’s disease diet — if you’re lucky they may remark “eat what agrees with you” as they sign another prescription refill for anti-inflammatory medication or auto-immune suppressors. Finding what agrees with you isn’t easy — it requires constant testing, tracking and adjusting. The paleo diet is simple — eat whole foods that humans have evolved eating for over hundreds of thousands of years. This sounds very reasonable because foods that were healthy and nourishing back then are likely still as agreeable today. Grains are a relatively new food introduced into the human diet only 10,000 years ago, so our digestive systems haven’t had enough time to cope and evolve with these changes plus the heavily processed foods of today. Meanwhile, there’s evidence that people have been cooking with fire for 800,000 years, so grilled meat, veggies and mushrooms are among the most agreeable things we could eat. There were no grains, legumes, dairy, salt, sugar or processed oils. Researching the human fossil record reveals a shift occurred around 10,000 years ago: overall bone density dropped and we started developing immune diseases just as we started eating grains from agriculture. Sign up for tips for getting started with the Paleo diet, and other helpful Crohn’s info I find along the way; no spam! I’ve tried SCD and Paleo diets for Crohn’s and find Paleo works much better. SCD isn’t restrictive enough for me as I still had stomach problems digesting the home-made yogurt. 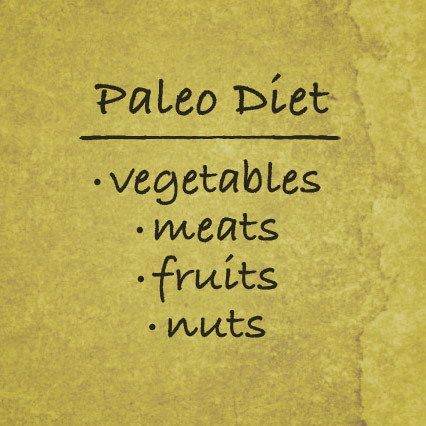 Paleo diet consists of simple foods, only meats, fruits, vegetables and nuts. It’s basic, but you can combine so many simple things to make great meals, and cooking shouldn’t be a big deal, but it should be simple and healthy. I am interested. Please email me the details. Please email me the information for I am struggling within Crohn’s Disease. I had great success stopping a flare up a year ago using a version of the paleo diet: i did consume dairy. but my case of chrons has never been serious enough to warrant surgery, so perhaps this is why dairy has worked for me – although, the dairy was only yogurt, and mostly raw milk yogurt, and eggs but only those that were pastred (hens ate bugs, not grain feed). i’m starting to see the early signs of a flare up and am SO excited to see if I can nip it in the bud using a paleo + dairy diet! I’ve been grain-free for three days now and I feel really fantastic. I would also like information about the diet, if possible. Thank you! I have a 12 year old daughter, probably with Crohns, but not yet diagnosed. I am interested in trying the Paleo diet on her, but concerned if this is correct to do, since she is only 12! She is way medicated taking steroids, anti-inflammatory, anti acids and antibiotics for the last 8 days because she had a crisis and had to be hospitalized. Is this diet risky for children? How can I get in touch with you for more information? I’m just starting to check out the Paleo diet, and im still trying to figure out my crohns and this may come across as a silly question, but would taking vitamins like calcium etc help, or is that part of the problem in the first place? My wife suffers from Crohn’s and I am tired of the Doctors’ approach of just changing medicines. Andrew I’m interested in your blog. Please, send me other information. I’d like a copy of the diet as well. I suffer from Crohn’s. I have Crohn’s as well. I am 26 and would much rather stay healthy with as natural of an approach as possible. If I could get some more info as well that would be great. Please I would love some information I’m so scared to eat at all I’m so nauseas and just miserable worst flare up I’ve ever had. My husband has Crohns and I would like information also !!! I am interested in the details of the paleo diet. My son suffers with Crohns, would you kindly send a copy of the diet as well? Hi, I’d like a copy of the diet as well, can you send to me? Please send us the info. My son has Crohns. He was diagnosed at three. We are done with the medications that cause him to feel worse! We are desperate to make him feel better. Could you email me info and startup diet plan for paleo? Thanks! I have Crohn’s and can tell you that a version of Paleo works. However, if you are having a flare stay away from fibrous veggies as well as the skin from fruits and seedy berries. Nuts tend to be rough on the digestive system too, especially those with skins (almonds, pistachios, etc). Hi Lisa, nuts and seeds can aggravate sensitive digestive tracts; wait a few weeks after your body has healed some and is less inflamed, then reintroduce them slowly. I have Crohns Disease and am just starting The Paleo Diet. After having numerous surgeries (and finally being in remission) I know that I will still need to be very, very careful when consuming any kind of nuts or veggies, because of narrowing in my small intestine. I had surgery to remove a severe stricture and adhesions and had a strictureplasty performed. My husband has Crohn’s disease for about 3 years that he’s known about. He’s on steroids for 6 months and now started immunosuppressant a few months ago. He’s still symptomatic. I would love to try this on him, though I know it will be difficult since he’s a carb eater, very picky with vegetables. Can you please send me some info on Paleo for Crohn’s? Thank you. I would also like information on getting started on the paleo diet. I would also like a copy of your diet please. I’m 27, gone through 2 surgeries and had almost every side illness effected with Crohns: erythema nodosum, arthritis, fistula. Countless scopes and many diet changes later. I’m ready to start a new chapter and don’t want to rely on any more drugs (or at least as little as possible). In my research Paleo has come up often. Can I please get any information you have on it. Thank you! I’d love to know if I should still not eat seeds/nuts/high fibrous fruits and veggies with this way of eating. I am 48, and have severe Crohn’s, Fibromyalgia, reoccuring Shingles, Spinal arthritis, and other diseases. I would love to find a natural healthy way to help heal and manage these diseases. What is your eating recommendation to people who suffer with Crohn’s? Thank you! I’ve had Crohns for 35 years, with symptoms never really going away despite surgery. I’ve been on the paleo diet for a week, and symptoms have completely disappeared. In fact symptoms have gone that I’d forgotten I had and had just come to accept as normal. It’s definitely worth a try. Greetings from Ohio! I’m bored to tears at work so I decided to browse your site on my iphone during lunch break. I enjoy the information you present here and can’t wait to take a look when I get home. I’m shocked at how quick your blog loaded on my mobile … I’m not even using WIFI, just 3G .. Anyhow, awesome blog! I actually just started the Paleo diet. This is more than a diet, this is a lifestyle. It takes dedication and willingness to try new things. My doctor is like every other DR., prescribing med after med without mention of a diet. When he wanted to combine two meds with very serious side affects, I told him enough. I feel that taking risky meds that only suppress symptoms are not beneficial. Paleo helps to promote healing in your body, every Crohn’s patient should educate themselves on proper diet before taking whatever their DR wants to prescribe. 10000 years ago didn’t people live much shorter lives? I’m a long time Crohn’s patient, diagnosed at 8 and am now 44. Vegetables, fruits, nuts/seeds, high fibrous foods is what causes my flare ups. I’m confused how the Paleo diet can help me. I would love to eat healthier because I think I would feel better overall (i.e. more energy), but whenever I try to eat healthy (fruits, vegetables, nuts/seeds), I end up the next few days paying for it with flare-ups and possible ER/hospital visits. I just tried eating a healthy meal again on Saturday and am paying for it now. So, do I just eat meat on this diet? What do you recommend? It’s frustrating that the only way I feel well, as well as I can without flare ups, is when I eat crappy. I have just been diagnosed with Crohns. Please email me your diet plan.